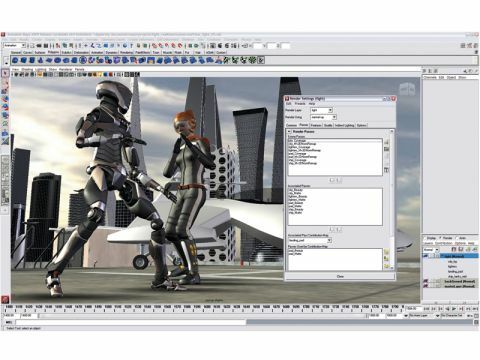 Maya used to be a direct competitor to 3DS Max, but now that they're both Autodesk products it's harder to tell them apart. As a rough rule of thumb, 3DS Max is the more limited of the two. Maya Unlimited includes much better particle, cloth, hair and fur effects, and also offers better textures and potentially slightly better renders. The cost – apart from the financial hit, which remains eye-wateringly high – is an almost traumatic level of complexity. Maya's shader system is frighteningly detailed all on its own, and by the time you've encountered the rest of the features, never mind mastered them, you'll be feeling like it's time for a long relaxing break somewhere sunny and undemanding. Maya is much-used in Hollywood, and it's not hard to see why – its liquid, cloud and fire effects are almost the best money can buy. If you can afford it and want a complete all-in-one package, it's the gold standard for 3D. But it's not for newcomers.